In the Uttarakhand, district of Nainital lies in the Kumaun division . To it’s north is Almora district and to its south lies the Udham Singh Nagar district. Champawat district flanks it in the east and district of Pauri Gahwal is in the west. It is located approximately in between 80º14’ and 78º80’ east longitude and 29º00’ and 29º05’ north latitude . On the northern side lies the Himalayan ranges while on the southern side lies the plains making the resultant climate of the district enjoyable one. The total geographical area is 4251 Sqr. Kms. Geographically the district is divided in to 2 zones viz. Hilly and Bhabar.The hilly region in outer Himalayas is known to geologist as Krol. The highest peak of the district is Baudhansthali 2623 mts. high near Binayak adjoining Nainital town.The hilly region of the district .The hilly region of the district used to have big & small lakes. 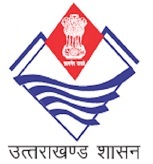 Bhimtal ,Sattal, Naukuchiatal,Khurpatal, Nainital, Malwatal, Harishtal , Lokhamtal etc. are known lakes of bigger size. Kosi is the main river of the district .River Kosi arising out of Koshimool near Kausani flows on the western side of the district. There are number of smaller rivulets like Gaula , Bhakra , Dabka , Baur etc . Most of these have been dammed for irrigation purposes.